Well, my husband, Dave, just had his birthday on the 7th. He spends his birthdays the same way every year, in the middle of the Bearing Sea. He is the captain of a crab boat. This is the time of year they catch Opilio, better known as Snow Crab. 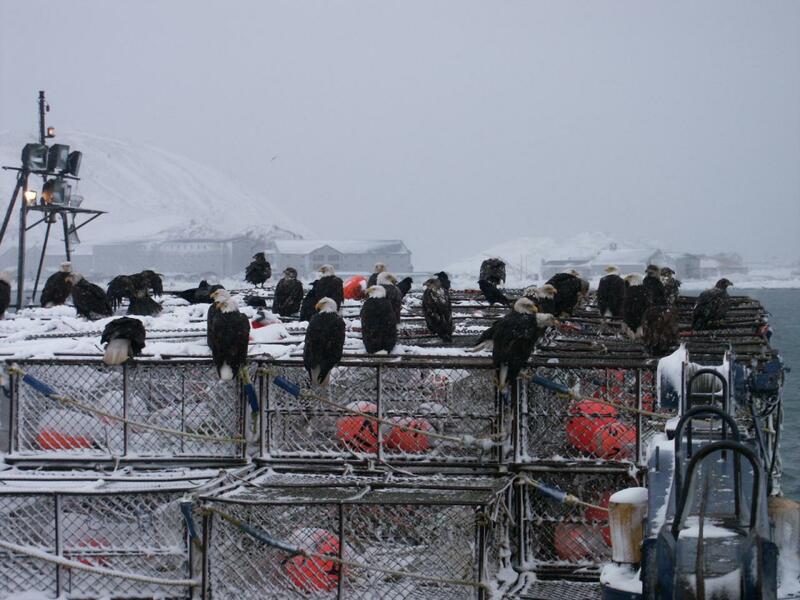 This is the fishing that the show Deadliest Catch refers to. However, he also fishes for Cod this time of year also. He has been up there since December 26th, and most likely won't be home until the beginning of April. Being an artist, and an over active person, the time actually fly's by for me. I am the PERFECT fisherman's wife. I love being by myself because I can always complete my agendas. Back to Dave. I know without a doubt the reason our relationship is so solid is because I have the highest respect for him. I love him, but I know the respect for one another is just as important for a healthy relationship. When he is home, he takes care of our domestic chores, AS WELL as my mothers. She lives on the property next to us so he has duel "honey do's"
Anyway, I wanted to put some pictures up of what it is like where he works. As a captain, he not only has to find the catch, but he is responsible for the lives of his crew. He is the medic, when there are injuries, and the babysitter when they start to loose it being out there for so long. He has to know every engine and motor that runs the vessel. He has to know all the computerized units in his wheel house. The unique thing about my husband is that he knows more than most captains up there because he is humble enough to learn new things, meaning he would have to put himself at the bottom of a totem pole with humble ability. And he does just that. So this blog is a tribute to my husband. For if it was not for him and the work that he does, I would not be able to do what I do. So all you girls need to know that!